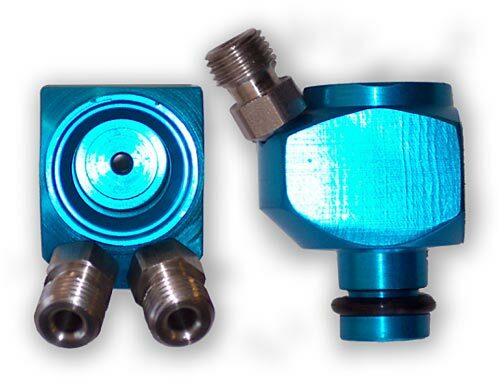 V8 - 50-200 Hp / w/Bottle, Line & Brackets This wet kit is designed for late model E.F.I. cars and small trucks. Complete with everything you need to install! V6 - 50-200 Hp / w/Bottle, Line & Brackets This wet kit is designed for late model E.F.I. cars and small trucks. 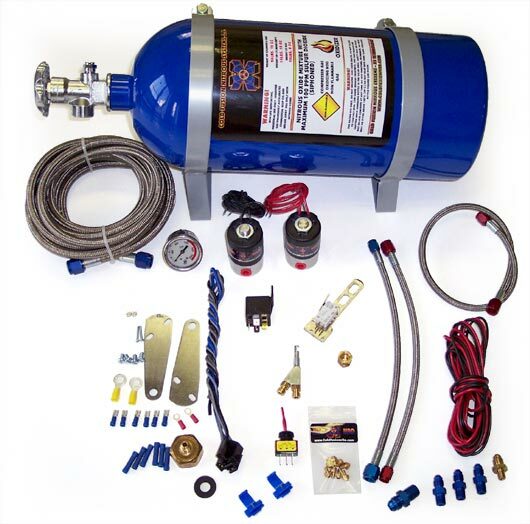 4 Cylinder - 25-75 Hp / w/Bottle, Line & Brackets This wet kit is designed for late model E.F.I. cars and small trucks. Don't get caught without a spare! 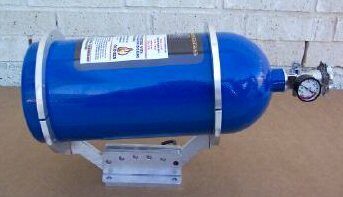 Don't get caught without a spare & Carry 50% more nitrous then a 10lb! Complete & Ready to install! 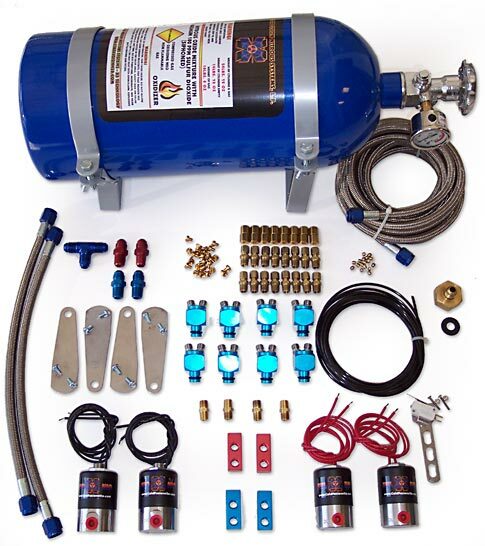 Complete direct port nitrous oxide system with SUPERMAX nozzles for a 6 cylinder application. 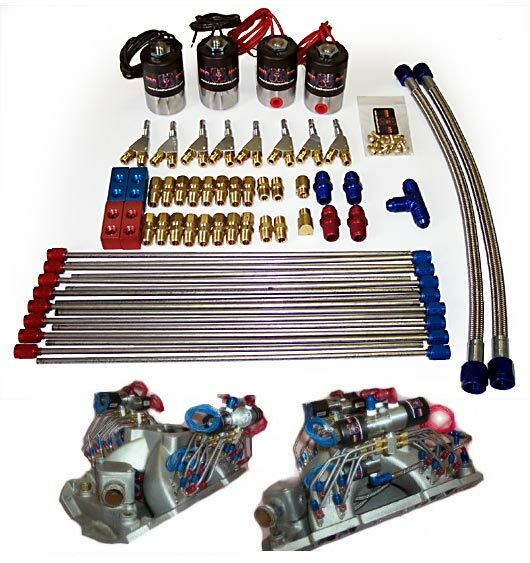 Complete direct port nitrous oxide system with SUPERMAX nozzles for a 4 cylinder application. Dual stage direct port nitrous oxide system for V8 application. Dual stage direct port nitrous oxide system for V6 application. Dual stage direct port nitrous oxide system for 4 cylinder application.